Hayley DeWitte grew up in the Midwest, where she learned the value of working hard. This value has served her well, but its her clients who benefit from it. Hayley loves many aspects of the real estate industry, including staging, design and decorating. But the real passion comes from working with her customers. “I believe that in real estate, the customer has to come first,” Hayley said. “I make myself available when my customers need me to be.” Hayley is also extremely comfortable with social media including Facebook, Twitter and Instagram and likes using those platforms to help sell her customers properties, or to help find the perfect dream home for her buyers. 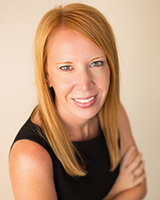 Although Hayley works throughout Brevard County, she really enjoys working with the 55+ community and new construction. Hayley, who vacationed in Vero Beach as a child, moved to Brevard County from the Midwest to join family and fell in love with the area. Her hobbies include spending time outdoors, concerts, interior design, fantasy football, paddle boarding and spending time with family, friends and her Labrador Bentley. She has a Bachelor of Science Degree in Operations Management and Information Systems with a minor in Marketing from Northern Illinois University. Contact Hayley DeWitte at hdewitte@sorensenrealestate.com; at her office located at 436 5th Avenue in Indialantic; or by phone at 321.723.9990 ext. 1797 or 773.319.6299.